Fueling Friday!! Lewis & Raulerson – Friendly Express Charitable Foundation, Inc. believes in giving back to our community. 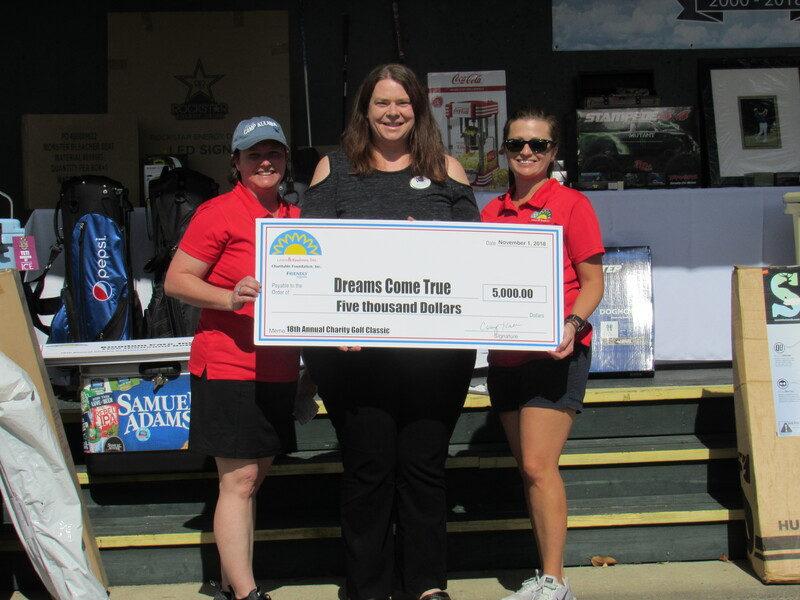 Dreams Come True was recently recognized as one of our “2018 Top Charities” at our 18th Annual Charity Golf Tournament. Dreams Come True is the First Coast’s wish-granting organization dedicated to using the power of a dream to bring hope and joy to EVERY First Coast child battling a life-threatening illness. This charity is near and dear to my heart. Their work in the community goes far beyond making “Dreams Come True”. I’ve seen first hand how they encourage and comfort a family going through a difficult time. It takes a special person to do the work they do each day. The charity started in 1984, since that time they have fulfilled the dreams of more than 3,700 children. No child is ever denied a dream and no child is ever placed on a waiting list. Lewis & Raulerson Friendly Express Charitable Foundation, Inc. is honored to partner with Dreams Come True. Our partnership started in 2007 and we have proudly sponsored 15 dreamers to date.